as with most moms: we’re the picture-taker! with me included; it was the one gift that I wanted from that day. and made it large enough to make the statement that I wanted on the layout. I let the title tell the whole story…not much else was needed! focal point on the paper (like the dots) to keep everything straight. 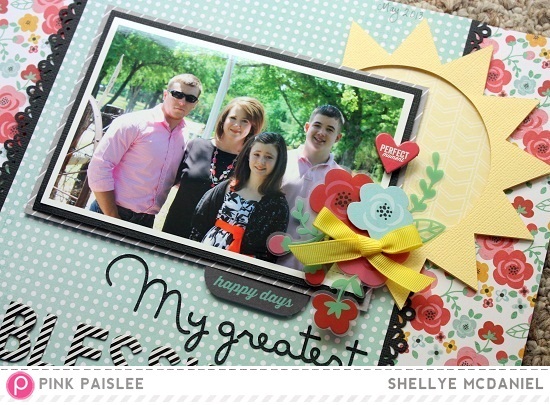 the Hello Sunshine Ephemera pack and a few chipboard stickers here and there. This page is absolutely lovely! 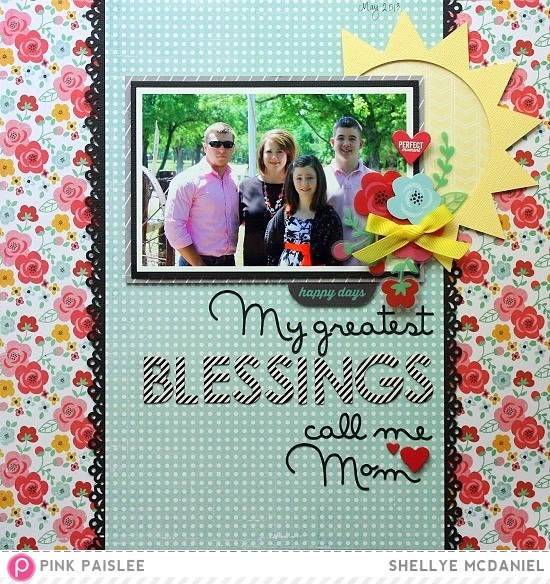 I love the sentiment and love that you realized the importance of a pic with you and the kidlets!! I am going to make sure that happens this week for me - that I get a photo with my 3 children that are still living at home! !